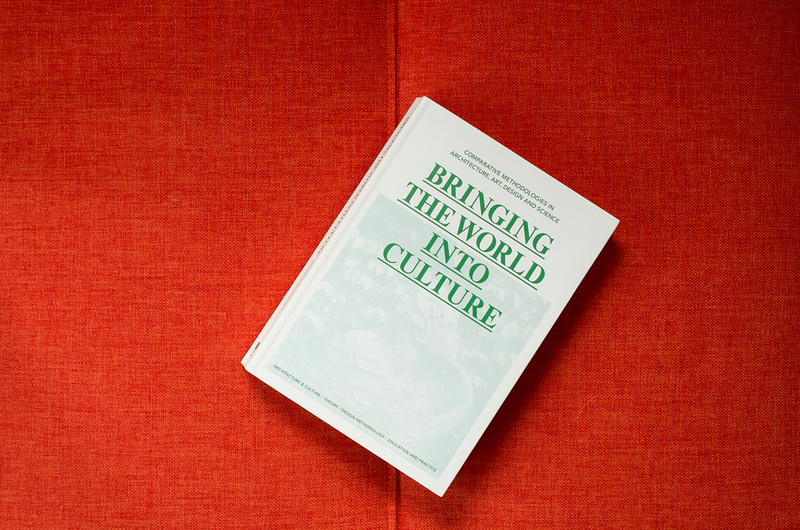 Published by the University of Antwerp Press, Bringing the World Into Culture is a diverse compilation of essays on architecture, divided into four parts: Culture, Theory, Design Methodology, and Education & Practice. 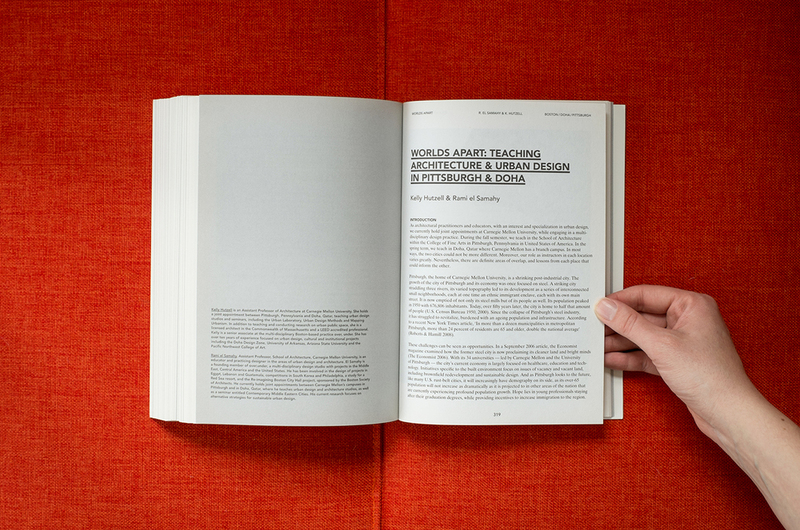 The collection features texts by Lars Lerup, Dan Boyarski, Juhani Pallasmaa, and Rami el Samahy. The book was written in honor of Richard Foque on the occasion of his retirement for academia. Foque served as professor and dean emeritus at the Henry van de Velde Higher Institute of Architecture at the University College Antwerp and is the founder and honorary principal of FDA-Architects. 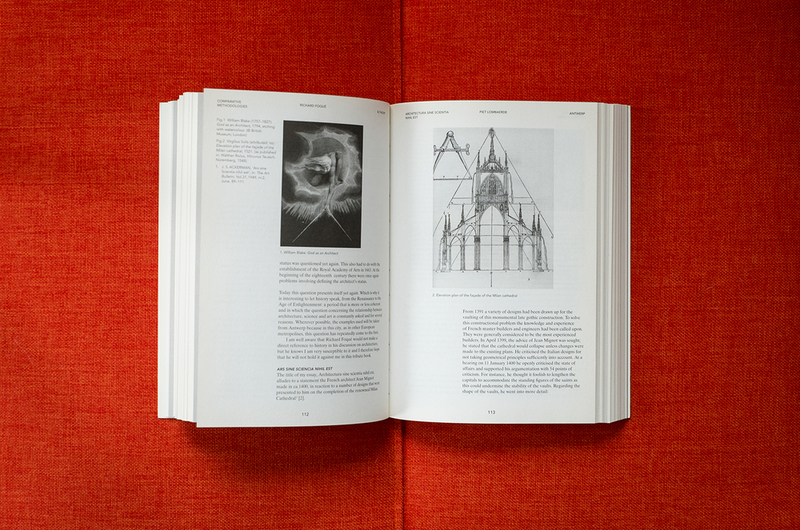 The book design uses the periphery of the page to develop a running account of colleagues, places and research linked to Foque's career. 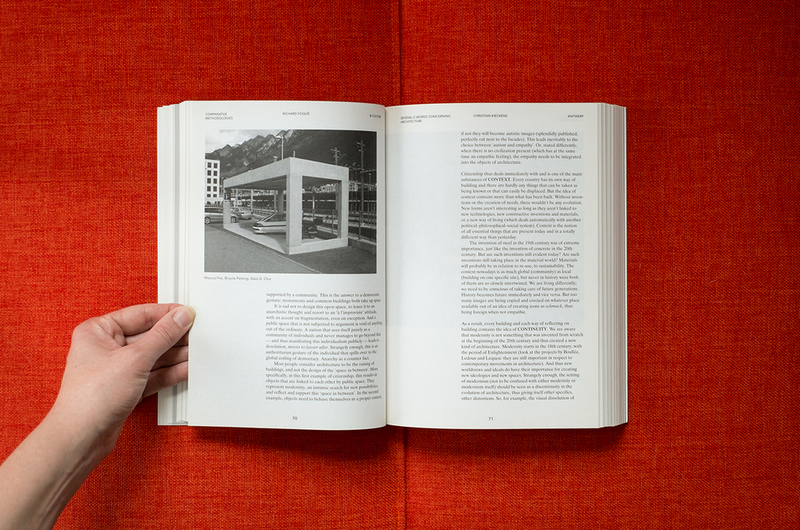 Format: 17 x 24 cm., 368 p.
Printed and bound by Grafikon.